SYDNEY--(BUSINESS WIRE)--SpeeDx Pty, Ltd. announced an agreement with Cepheid to manufacture their market-leading ResistancePlus® tests for use on the GeneXpert System. The first test in Cepheid’s FleXible Cartridge programme, planned for launch early 2019, is ResistancePlus® MG, detecting the sexually transmitted infection (STI) Mycoplasma genitalium (Mgen) and markers associated with azithromycin resistance. 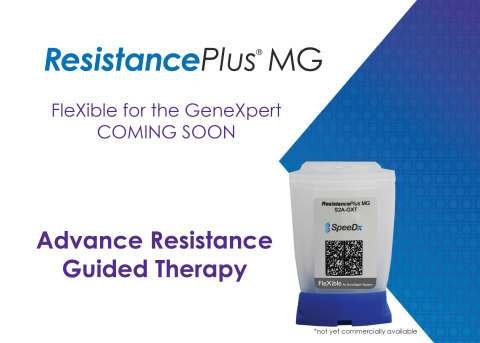 SpeeDx are the first trusted assay partners in Cepheid's FleXible for GeneXpert program - ResistancePlus MG cartridge will be available soon.